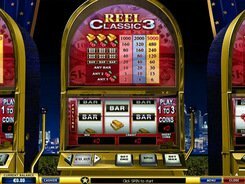 This simple unsophisticated video slot game with a single payline and three reels still has many fans who remember good old days of mechanic slot machines. There are no other symbols in Crazy 7 than the digit “seven” of red, green and blue colors. 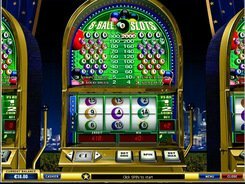 Three 7’s of any color on the line bring you the win of as little as 5 times your bet. Blue, green and red 7’s multiply your total bet by x25, x50 and x100, correspondingly. The coin size is selected from the range of $0.05 to $5, making the highest bet of $15. 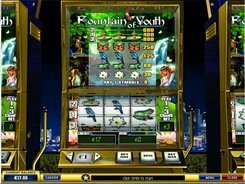 The fixed jackpot winning reaches 400 coins. 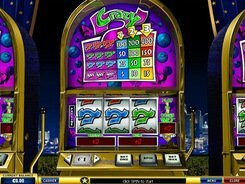 Crazy 7 contains no wild symbol, scatter symbol, multipliers and free spins since it stays true to its origin as a one-armed bandit. 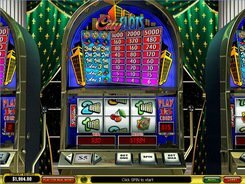 An autoplay mode can be adjusted for a specific number of automatic spins so that a gamer can control his bankroll and play responsively. PLAY FOR REAL MONEY!